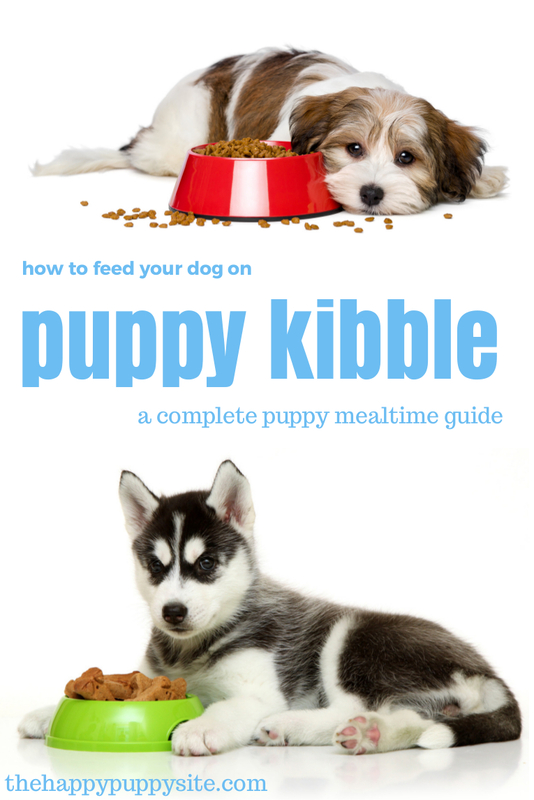 This is a complete guide to feeding your puppy on kibble. How to chose a brand, how much to give your puppy, how often, and how to tell if he is too fat or too thin. What is kibble made from? Where can I buy kibble? Which brand of kibble is best? How much should I give my puppy? The majority of modern puppies are fed on kibble. The chances are that your puppy will have been weaned onto kibble, and that his breeder will give you some of that kibble to take home with you when you collect him. It is usually a good idea to keep your puppy on that same brand of kibble used by his breeder, at least for the first few days. This is because new puppies often get upset tummies when they move house, and messing with their diet is likely to make things worse. It is just one more stress factor that they can do without. Once your puppy has settled in, you can choose a brand you like and switch him on to it over the course of a week or so. We’ll look at that below. Kibble is commercially produced dry dog food. Usually sold in packets or large sacks. [wp_ad_camp_5]It is a very convenient way to feed a puppy and because it is dried, the kibble keeps well even after the packet has been opened. The ingredients in your puppy’s kibble will vary from brand to brand. Most contain meat protein and animal products, many contain large quantities of carbohydrates including cereal products. There are pros and cons to feeding kibble, but one of the main benefits is that it contains all the nutrients your puppy need to thrive and grow. You can now buy good quality kibble all over the world. So almost anywhere you will find puppies, you will find kibble too. 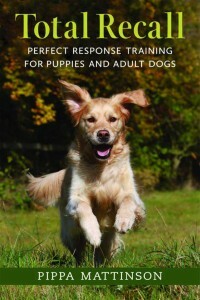 Kibble is available both in pet stores and from large online retailers such as Amazon. Large dogs need large quantities and the bigger sacks can be heavy, so home delivery can be a bonus. In fact there is a bewildering array of different brands and of different types within each brand, in most pet stores. Each brand is usually a complete food – that is to say, it will provide every nutrient that your puppy needs, and in exactly the right proportions. So choosing which one to buy can be tricky. Choosing which brand of kibble to buy for your puppy is not easy. Puppy foods vary widely in price and the difference in cost tends to reflect the proportion of the food that is made from cereal such as wheat, corn and rice. Dogs are basically carnivores. They need plenty of protein, found in good quantities in meats like chicken, beef and lamb. Puppies also need a plentiful source of fat – also ideally from animal products, though vegetable oils may be included. Although dog don’t need to eat carbohydrates, many dogs can digest cereals without ill effects. However, many experts believe that cereal based food is not ideal for a dog’s digestion and have speculated that ingredients like wheat may predispose dogs to allergies and digestive troubles. What are you paying for in your puppy kibble? The puppy may end up eating more than he would of an expensive brand, so the price difference is not as great as it might seem. If you can afford a top of the range puppy food you may be able to avoid cereals altogether, which is arguably better for your puppy. We especially like Orijen puppy food which is 80% turkey, chicken, eggs and fish, and 20% fruit and vegetables. Orijen is a Canadian company and the poultry in its kibble is raised cage free. What can I add or feed with puppy kibble? Kibble is dehydrated and kibble fed dogs need to drink a lot of water. So make sure that fresh drinking water is available at all times. [wp_ad_camp_2]People often want to know what they can ‘add’ to the kibble. The problem with adding things to kibble is that kibble is a balanced diet. As soon as you start adding things, the diet becomes unbalanced. While it is unlikely that any harm will come to a healthy adult dog from adding the occasional healthy snack to his kibble bowl, with puppies, it is usually best to just feed kibble on its own. One downside to adding treats such as mince, eggs, gravy and so on, is that your puppy may decide not to eat kibble at all. Then you are stuck with trying to concoct a home made diet in a balanced way. Remember that raw food especially is much more attractive to most dogs than kibble. So if you mix the two, some dogs will start to refuse the kibble. Your breeder probably gave you a basic feeding schedule for your new puppy. But you’ll also want to know how to manage his changing needs. Let’s have a look at mealtimes first. Once you have figured out how much food your puppy needs each day, you’ll be dividing it into several small meals. Most puppies these days are fed on a commercial pelleted food that we call ‘kibble’It is really important that you don’t try and feed the whole day’s food ration in one hit. It may not look very much, and your puppy may eat it all up, but it will probably give him horrible diahorrea. 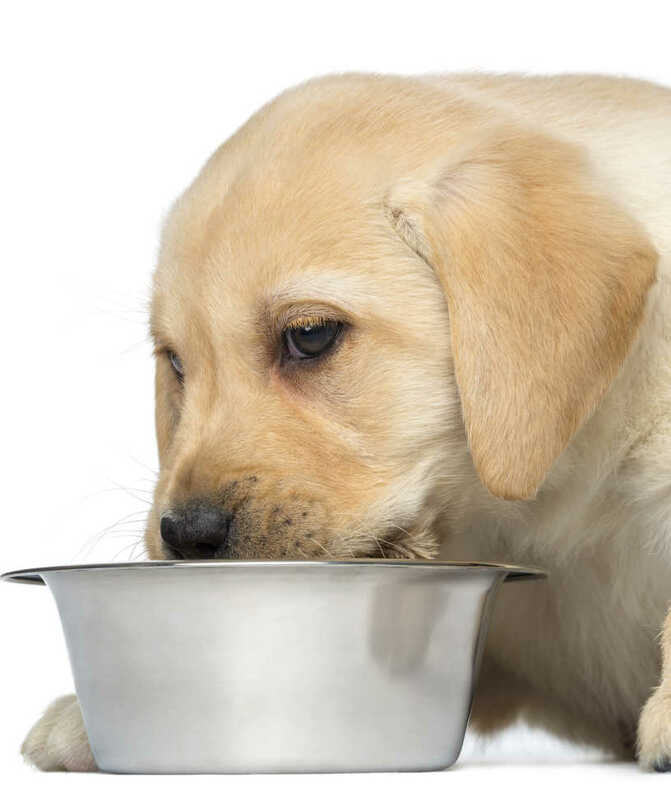 Puppies need small meals to enable them to process the food without upsetting their stomachs. Not because they cannot fit more into their tummies. We used to recommend one meal a day from twelve months, but recent research suggests that large meals of kibble are a risk factor for bloat, so it makes sense to carry on dividing your dog’s daily ration into two smaller helpings. Now let’s look at that daily food ration. Just how much food does your puppy actually need? How much kibble does my puppy need? Every puppy will need a unique quantity of food to keep him healthy and growing well. Kibble is very convenient to use. You just open a packet and pour, but new puppy parents can get very obsessed over quantities in a way that they would never do if feeding home cooked or raw food. People often tell me exactly how many grams of food they are feeding their puppy, and ask me if that is ok.
And because different brands of kibble will need to be fed in different quantities. Your puppy will have within him a ‘potential’ for growth. A size that he is genetically coded to reach as an adult. You have to feed your puppy based on what he looks and feels like. And many people do find this worrying initially. 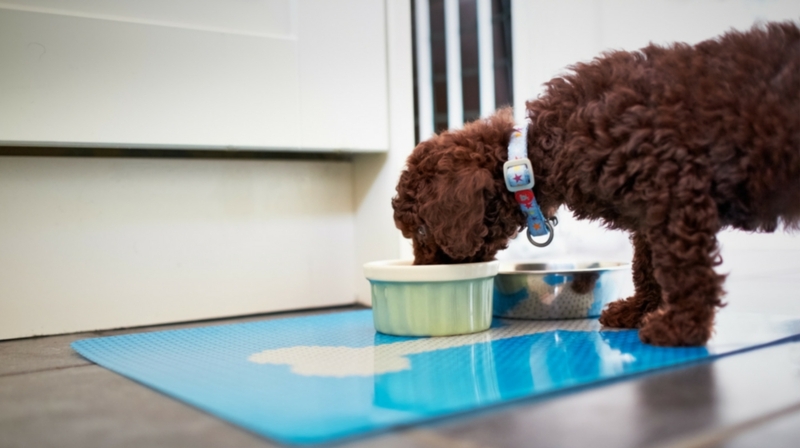 Don’t worry – you won’t starve your puppy! But here’s the thing – it is very difficult to do this wrong, because you can’t harm a puppy by giving him a little bit too much or a little bit too little, over two or three days. If you think about it, you wouldn’t weigh your children’s breakfast cereal, or any other food you fed them. And if they ate a bit less for dinner on a Thursday, you wouldn’t worry about them starving. It’s the same with puppies. It is the overall quantity and quality that the dog eats over the course of several days or even weeks, that counts. Not how many grams he has for breakfast. Remember it takes days, not hours, for a puppy to get thin (or fat)! You have plenty of leeway here, so you need to stop worrying. I’ll explain what you need to do. How many grams of kibble should I feed my puppy? To work out how many grams of kibble to feed your puppy you’ll be starting with a baseline given by the individual manufacturer, and adjusting from there. On the packet of kibble, it will tell you a set quantity that you should feed your puppy (usually in grams) per day, for his age. This is your baseline. It isn’t set in stone, it is a guide. Remember, all puppies are different. Many packets give an allowance for the whole day (not per meal). You’ll need to divide this into separate small meals as described above. Measure out the quantity for the first few days, until you get the hang of it. After that it is fine to judge the quantity by eye. This is because you will be using the state of your puppy as your measuring stick, not your scales. Is my puppy getting enough kibble? You may be shocked by how small the quantity of food looks in his bowl. And the more expensive the food, the less his daily ration will be. This is because there are less fillers in expensive food and more fillers in cheap food. Fillers bulk up the quantity. Most puppies will hoover up their meal in a matter of seconds and zoom around looking for more. This is normal, it does not mean you are starving your dog, so don’t be tempted to offer him more just because he still looks hungry. Some puppies eat their food very quickly indeed. If you want to see your puppy spend more time enjoying his food, you can sprinkle his kibble into a slow-feed bowl or plate. The other potential benefit of using a slow feed bowl is that it can reduce the chances of your puppy suffering from a nasty condition called bloat, which is brought on by the dog eating his meal too rapidly. We don’t aim for roly-poly fat puppies any more. We know now that fat puppies sometimes grow too fast, which can be bad for their joints, and that fat puppies often grow into fat dogs. So keep your puppy slim. If you run your hands firmly along his sides, you should be able to feel his ribs, but if you can see them, he needs a little more to eat. Reduce food a little if your puppy is losing his ‘waistline’. Keep an eye on your puppy’s teeth. Kibble is carbohydrate based and some kibble fed dogs need their teeth cleaning regularly. And it is a good idea to get your puppy used to having his teeth cleaned now, whilst he is little. One of the great advantages of feeding puppies on kibble is that their food can be used as training treats without getting your hands all messy. 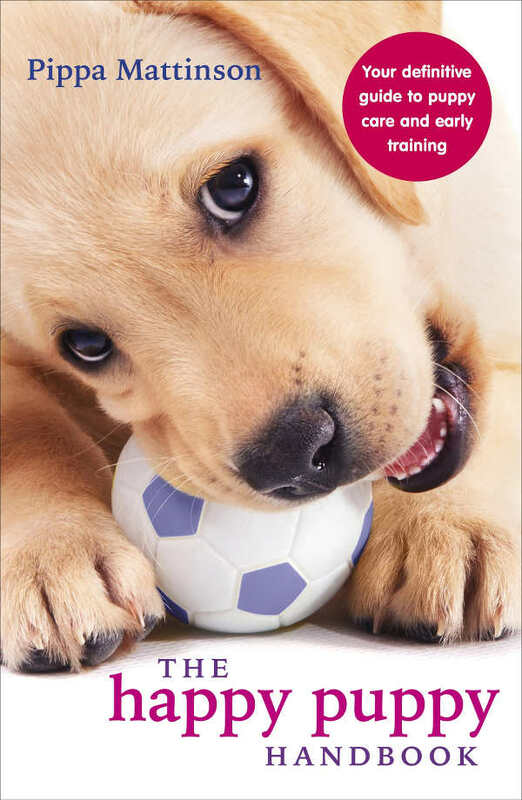 Don’t forget to deduct food used in training from your puppy’s daily allowance. 7 am, 11am, 3pm and 7pm works well for many families. Kibble is dehydrated food and it makes puppies thirsty. So kibble fed puppies need constant access to water during the day. You can take up water at night providing the puppy had access to water for a couple of hours after his last meal. What time should I give my puppy his last meal? For puppies under four months old, or any puppy who is not reliably clean or dry at night the last meal should be at least four hours before bed time. This will be the time that you go to bed and give him his last trip into the garden to relieve himself. This will give his body time to empty his bowels and bladder before settling down for the night, and give you the best chance of not returning to any little accidents in the morning. So if you routinely go to bed at 11pm and his last back yard visit is at 10.45pm, then give him his least meal of the day no later than 6.45pm, and remove his water around 8.45pm to be on the safe side. As your puppy grows up his dietary needs will change, and at some point you will need to switch over to adult dog food instead. The right time for this will depend a little upon the individual breed. Larger dogs tend to need puppy kibble for a little longer than toy dogs, for example. This is because puppy kibble is designed to give your young and developing dog everything that he needs to grow. And large breed dogs have considerably more growing to do than their miniature cousins. [wp_ad_camp_1]You wil find that some kibble manufacturers have a junior kibble available as well as a puppy and adult version, so keep an eye on your packet for their brand guidelines. However, as a general rule of thumb, begin switching your puppy gradually over to adult food somewhere between 12 to 18 months old. Judge this change by whether he is reaching his predicted adult size for his breed type, and as always have a chat with your veterinarian if you have any concerns. Feeding a puppy is not something you need to worry about. It’s hard to get it wrong. Use the packet quantities as a guideline and reduce them a little if your puppy is getting fat, or increase them a little if your puppy is looking rather thin. Break his daily allowance into several small portions, and don’t feed too close to bedtime. Aim to feel but not see ribs, and to have a puppy with a ‘waist’. Check with your vet if you are worried. And enjoy your puppy! 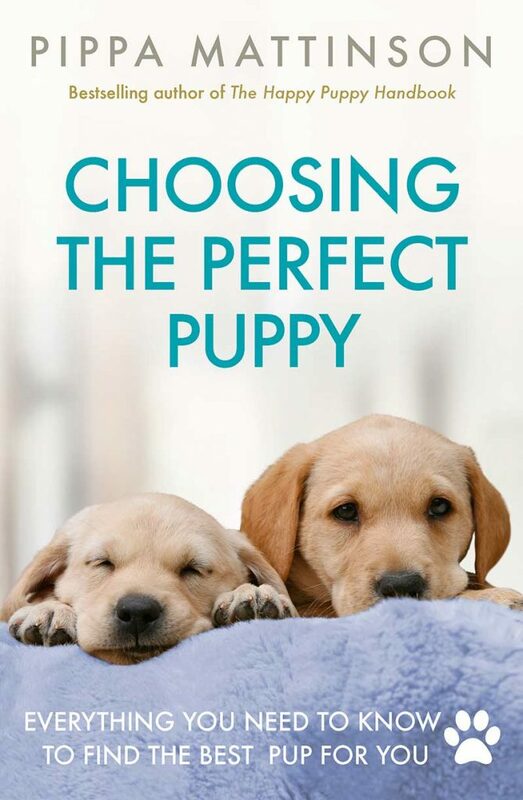 Unsure about whether kibble is the right choice for your puppy? Then you can discover all of the pros and cons of feeding your pup on kibble in this article. If you are thinking of switching to an alternative method of feeding, you might like to also consider the benefits and costs of a natural raw diet for your puppy. And if that sounds appealing, then you can discover all about the practicalities of how to feed your puppy on a raw food diet here. Please, help. Is a 10-wk-old lab puppy able to chew dry kibble well enough that his little stomach won’t be dealing with larger, harder -to-digest chunks of food? I like to use dry kibble for training, but my spouse insists that all our pup’s kibble be fed wet b/c it’s easier to digest that way. This is a pup that seems to alternate between log-type stools and very loose pudding-type stools. We have added rice to his wet kibble, and it seems to help. Have also made his meals (4) smaller and a bit closer together. Thanks for any suggestions/advice you’re able to provide. 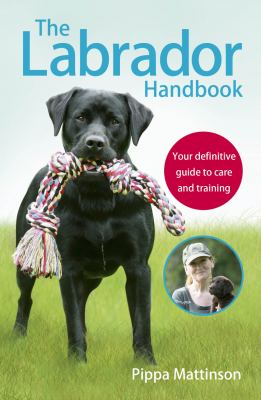 BTW, the Labrador site is wonderful. I’m there several times a day most days. Thank you for sharing your expertise. ANY EXTRA INFO TO HELP WITH FEEDING AND CARING FOR AN 8-WEEK-OLD DAXI-JACK. WE ALREADY HAVE A 3YEAR OLD PURE-BRED NEUTERED DAXI WHO IS VERY UPSET AT NEW ARRIVAL/ WE INTRODUCED BOTH ON NEUTRAL GROUND- WE ARE MAKING AN EXTRA FUSS OF 3YEAR OLD BUT HE IS VERY MIFFED.WON’T LOOK AT US AND WE WANTED HIM TO HAVE A LIVELY PLAYMATE AS WE ARE BOTH IN OUR 70’S AND CAN’T TAKE LONG WALKS.